A TEENAGER has appeared in court charged with stabbing a 15-year-old boy. Ryan Pinnock, 18, of St Johns Road, Havant, was charged with wounding with intent and possessing a knife in a public place. Pinnock appeared at Portsmouth Magistrates’ Court on Monday. He was remanded in custody to appear at Portsmouth Crown Court on April 15. 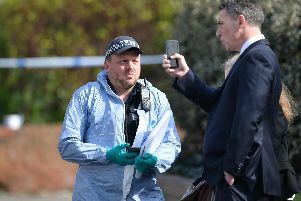 Police were called to Woolston Road in Havant at 3.45pm on Friday after a 15-year-old boy, who cannot be named for legal reasons, sustained a stab wound to his arm. The boy was treated Queen Alexandra Hospital but has since been discharged. All were released but remain under investigation. Anyone with information should call police on 101 quoting 44190091201.